When poverty sing a song, may we never be caught in the dancing arena... 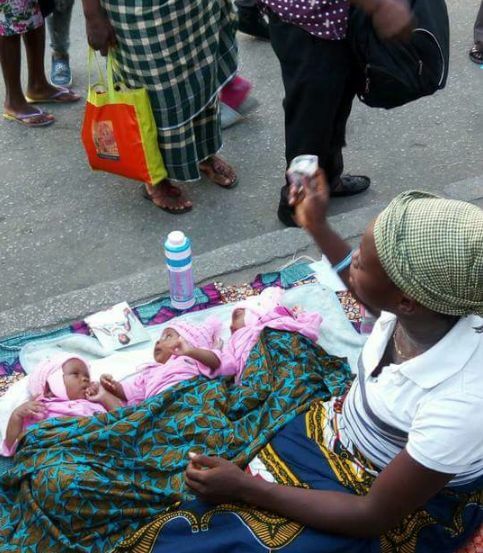 Photos of lady begging with her beautiful triplets in a bid to feed herself and the babies are trending online. 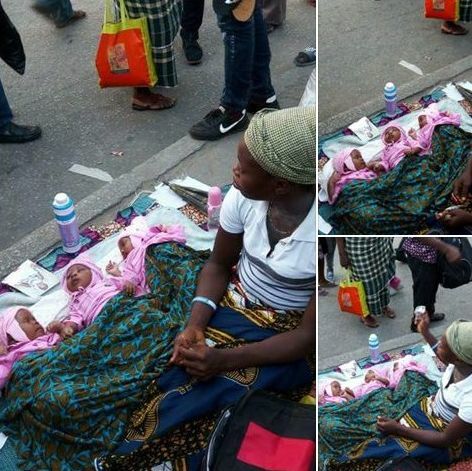 She and her 3 babies were spotted sitting close to the fly-over at Rumuola in Port-Harcourt, with sympathizers who surrounded them giving cash to the mother. Please those with the means should take this woman off the streets, for the sake of her triplets.